Cryptocurrency exchanges are extremely useful and notoriously a bit of a security minefield. Some exchanges have had truly staggering amounts of money stolen from them and others continue to have users robbed on a daily basis through non-direct exploitation. In this article we look at exchange security, addressing the 3 biggest direct exchange hacks of all time and also how non-direct hacking is affecting users on some of the largest and most trusted exchanges every day. 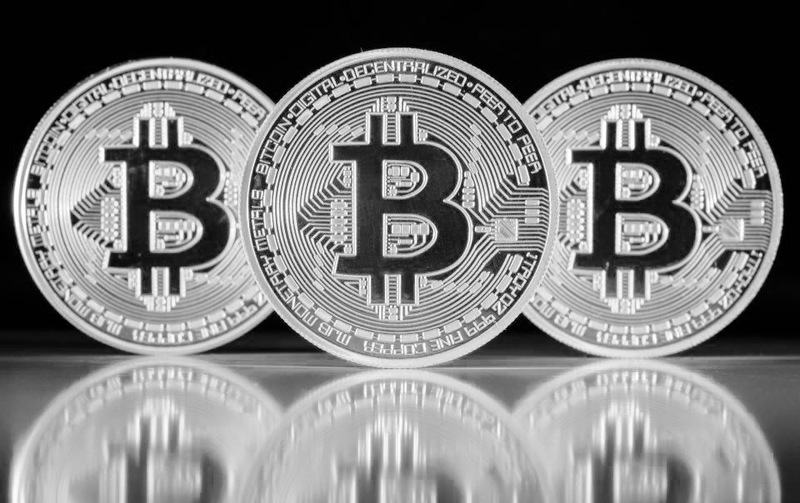 We will also provide you with a viable option of where to buy Bitcoin safely and easily. So, read on to stay in the know. One often says that where there’s a will – there’s a way, and this is no truer of a hacker’s mentality. Cybercriminals target lucrative pay-offs at the expense of exchange platforms and their user bases. Here are the 3 biggest hacks on exchanges so far. Mt. Gox had had numerous run-ins with hackers, but 2014 proved to be a truly shattering year when the huge hack happened. Mt. Gox was a very large exchange with it accounting for around 70% of all Bitcoin transactions, which was around 6% of the entire Bitcoin circulation at the time. It was like a gold mine for hackers who pilfered over $450 million in Bitcoins. The exact extent of the hacking is not known even to this day, but it is thought it was between 2011 and the time of the hack that hackers had exploited the online wallets of the exchange and rendered their security features useless. Almost 850,000 Bitcoins were stolen in total. Like Mt. Gox, Bitfinex was targeted by hackers for a Bitcoin heist. Although not to the extent of the Mt. Gox attack, Bitfinex did lose a significant amount of user’s Bitcoins – around 120,000 to be more specific with a market value of over $66 million. You would think that the Mt. Gox attack would stay the largest. You would also likely think that as time goes by, security protocols improve. The unfortunate truth, as Coincheck has found out, is that hackers become more sophisticated as time goes by. In January this year (2018), Coincheck lost an estimated $532 million in cryptocurrency. There doesn’t need to be much more said than that. The sheer volume of tokens stolen is astounding. Since January, many exchanges have been trying to update security features, but many of them seem to be fighting a losing battle. Exchanges are not always targeted en masse and non-direct hacking accounts for a significant portion of stolen cryptocurrency. Instead of targeting the exchange, a hacker will target an individual, obtain access to the exchange and then remove funds from the target. This is something that exchanges are supposed to have robust measures in place to verify information, but the truth is that these measures fall short. Some exchanges try preventing such attacks by implementing a verification process for all transactions that exceed $200 in value. This is designed to avoid large amounts of money being stolen. However, skilled hackers are able to bypass this as well. The prevalence of non-direct hacks is increasing and unfortunately, it is not only those who are lazy with their security who are suffering. Hackers work tirelessly to part you with your hard-earned cryptocurrency, and even those with robust security measures in place are falling victim. Something as simple as responding to a single text message can now compromise your entire cryptocurrency pot. Thankfully no. There are a few exchanges that take security incredibly seriously and work just as hard as the hackers to prevent exploitation. These exchanges typically have higher fees to cover the cost of online security. Given that many are now realizing just how vulnerable their investments are, the majority of serious traders are moving away from the cheaper less secure exchanges and paying the higher costs to protect their investment. Pioneering the way for secure exchanges is CEX.IO, who are able to boast that they have not had a single penny stolen from their platform. Fees on CEX.IO typically are only a fraction higher than those of other exchanges. But in return for the slightly increased outlay, users operate in confidence that they are trading on a platform that has never been breached. Among the security measures CEX.IO is taking to protect their users are full data encryption, two-factor authentication, cold storage, anti-DDoS solutions, etc. Moreover, the exchange puts an increased focus on fighting money-laundering within the platform. To prevent any fraud, CEX.IO gets extremely demanding when it comes to identity verification and compliance assurance. It won’t hurt being over-cautious, will it? However, you could also take the responsibility of adding to the security of your digital assets. Here are some tips to consider. Hackers are always coming up with new and innovative ways of stealing from traders and investors. Sometimes entire exchanges are set up as a decoy to defraud investors that use it. If something seems suspicious to you when trading or buying cryptocurrency, make sure you take the following actions. Do your best to secure your c. This means transferring it to a hardware wallet and away from an internet connection. This is a hacker’s primary window into your wallet, and without it, they will be hard-pressed to part you with your tokens. Immediately secure currency whenever you feel uncertain. Write down keys and passwords on a piece of paper and store it in your diary. Never have it on your computer system in any way whatsoever. This is exactly the same method as a hardware wallet and removes the information to a location the hacker can’t reach. Update your passwords regularly. Make sure you document changes using a pen and paper. This means that if the information is compromised at any point, the window of opportunity is narrowed by your constant vigilance. There is no guaranteed way to protect cryptocurrency at all times. So using a reliable exchange and staying vigilant is the best way to secure your investment currently.